This is the aim behind the development of Satiz TPM’s specific knowhow in the field of automotive design, especially oriented towards electric propulsion through the study and identification of new services that can guarantee both energy efficiency and progress, in line with the continuing technology changes linked to this dynamic market. A team of over seventy technical designers, with the seniority and knowhow needed to manage and supervise every stage in the development of a vehicle, from feasibility through to production, promptly reacting to the needs of our clients. We design parts up to complete vehicle, with a team of specialists in all vehicle areas, excepting the powertrain. We manage complex projects with PLM instruments, essential tools when it comes to guaranteeing shared information, an efficient design and working process, and team work. With these instruments we can support our customers from style feasibility processes to Start Of Production (SOP). Our expertise is constantly updated when it comes to technological solutions and the use of materials, so that we can guarantee innovation and cutting-edge tech solutions to our projects. Experience in the design of complete “full electric” vehicles has made Satiz TPM one of the few design house able to support and advise its customers in the difficult setup choices that need to be made during the development of an electric vehicle. From the body to the suspension, the floor and the bodywork, the battery and the driver controls, we “think” electric vehicles before and during the design process. When it comes to the development of a next-generation vehicle, innovation is represented by integration and by the increasingly bolder use of electronic control, driver support and infotainment systems. Our team of hardware and software specialists work to develop control systems for the different functions of the vehicle, to allow the correct dialogue between control units and on-board electronics. We also design and develop all of the wiring components for the vehicle. Modern vehicles need compliance with precise standards to protect safe and ergonomic use. Ergonomic simulations and calculations carried out from the very first stages of the project allow us to harmonise people’s needs with those of the mechanical means that they are using. This guarantees linear development through to the next stages of the project, compliance with approval constraints, and the quality and safety perceived for the finished product: i.e., safety, time savings and development costs. 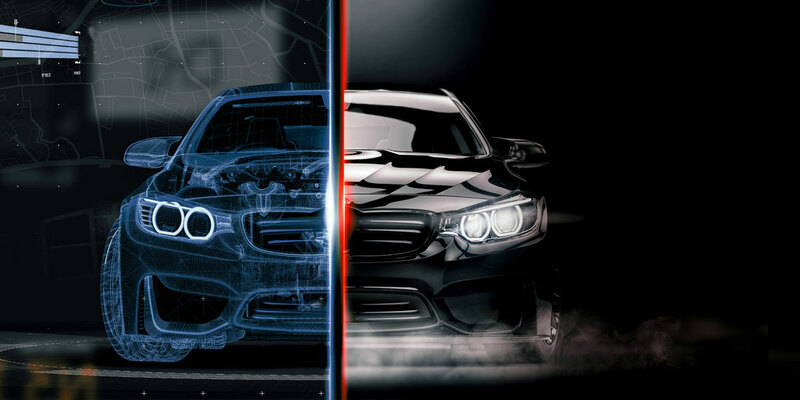 During the vehicle’s engineering development process, it is constantly necessary to check the impact of design choices on the finished product in terms of structural resistance, safety, noise levels, aerodynamic efficiency and vehicle handling. Continued checks allow for progressive assessments of the work done and at the same time, they highlight critical points that need to be addressed and dealt with in order to achieve a product that can be put into production and approved.